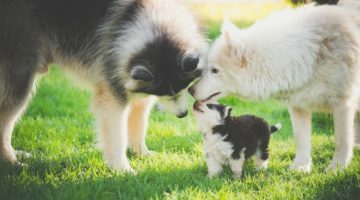 Do House & Pet Sitters Need to Know How to Train Dogs? House Sitting with Dogs? Be Ready for Surprises. Have you considered a Dog Leadership short course? Welcome to Australia's leading house and pet sitting website. House and pet minding is a convenient alternative to an expensive kennel or cattery and dog and cat boarding. Pets stay comfortably at home and your house left is occupied and secure. Happy House Sitters attracts more home owners than any other Australian website. We service Sydney, Melbourne, Brisbane, Perth, Adelaide, Hobart and all regional and rural Australia. We are an Australian family owned and run business that has been operating since 1999. Over the last decade, we believe we have fostered the dramatic growth for the house-sitting phenomenon across Australia. Happy House Sitters was created by Ruth and Malcolm Myers-a Melbourne couple who enjoyed the benefits of house-sitting themselves for a number of years. Together they decided to provide other Australians with an easy and economical online forum for house-sitters and home owners to connect.